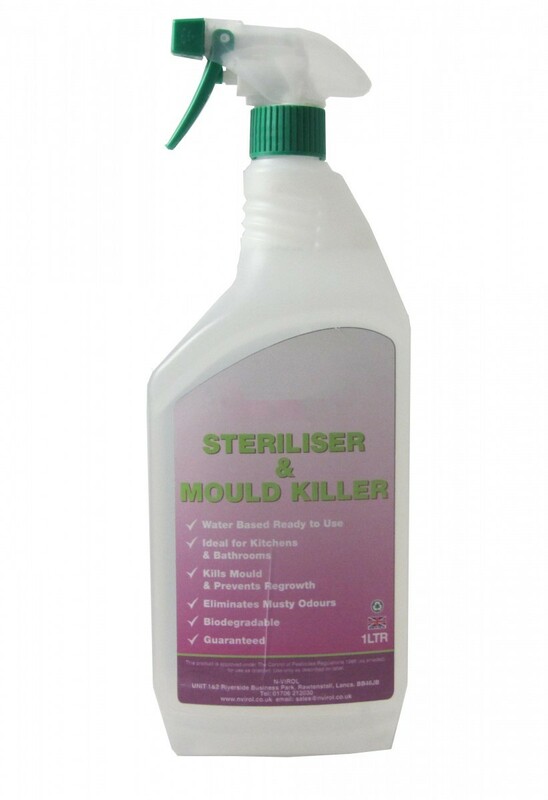 The Mould Steriliser acts as a biocide and stripping agent. 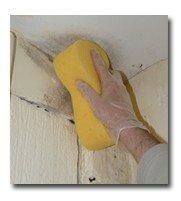 Mould is unsightly, destructive and, most importantly, dangerous to your health. 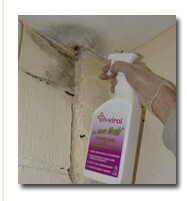 So if you have a mould problem you need to treat it effectively and fast! The first stage in any successful mould treatment is sterilisation. It is important not to disturb mould growth, for instance by removing mould damaged paint or paper, because if heavy growths are agitated in any way they will release large amounts of spores, which can cause allergic symptoms. This is where our premium MOULD STERILISER AND KILLER comes in handy, as this biocide kills the mould rendering it harmless. Our easy to use MOULD STERILISER AND KILLER contains a very powerful mouldicide/mildewcide which specifically targets and kills mould and mildew growth and is far superior to the cheaper fungicidal wash. It is deeply penetrative, treating visible mould as well as 1 metre beyond; in addition, it leaves a residue to help prevent regrowth. 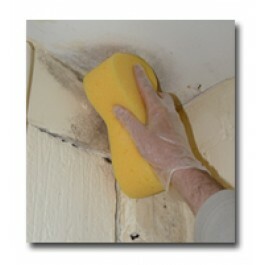 Ideally, after you have killed off the mould spores you should apply an anti-mould paint or water based paint with an anti-mould additive stirred in to ensure that the mould does not return. 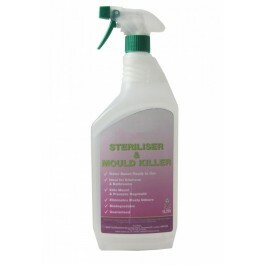 So wipe out mould in one easy application with our MOULD STERILISER AND KILLER.